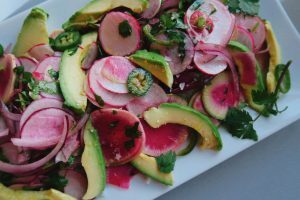 In a medium bowl, combine the radishes with the onion, jalapeno, cilantro, basil, lemon juice and 1 T of olive oil and toss to coat. Season with a little salt. 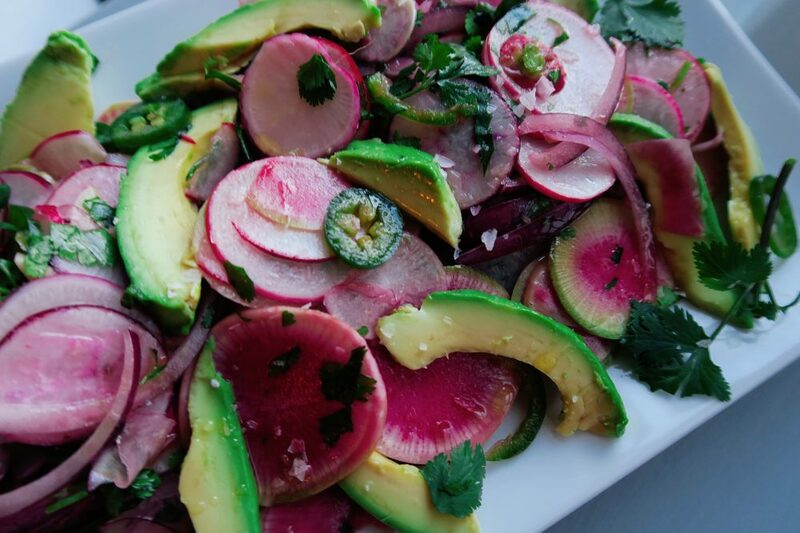 Spoon the radish salad on a platter and arrange the avocado slices around and on tip of the salad. Drizzle with a little more olive oil and season with a little more cypress flake salt. Serve as soon as possible. *can be ahead, but assemble with avocado and wait to dress with vinaigrette right before serving so the radishes don’t get soggy.